Native New Yorkers and transplants alike will delight in our New York Subway Side Tear Checks. 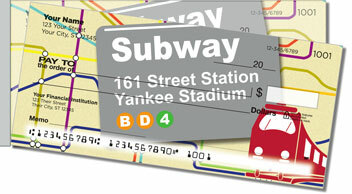 Set against the familiar color-coded map that NYC commuters know by heart, these checks feature signs from four busy station stops in the famous subway system. 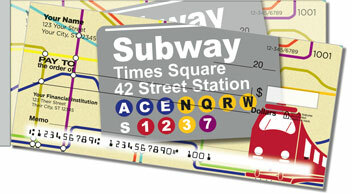 The NYC underground runs 24/7/365 so the city that never sleeps can keep moving! 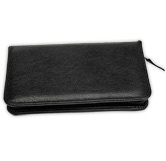 And when you choose New York Subway Side Tear Checks from CheckAdvantage, you can keep moving, too, thanks to their handy, short-side perforation. It improves leverage so your completed documents won't rip in the wrong place when you remove them from the pad. That means you can finish with the task at hand and get to the train on time! 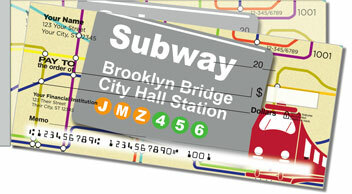 Hurry -- make our New York Subway Side Tear Checks and matching address labels yours today!